Migraine headaches are a common affliction for many people, and the pain is often so severe that it inhibits functioning at a normal level. Migraine symptoms almost always include severe head pain, but may also include light and noise sensitivity, nausea and dizziness. The following are five simple solutions for alleviating migraine headaches. 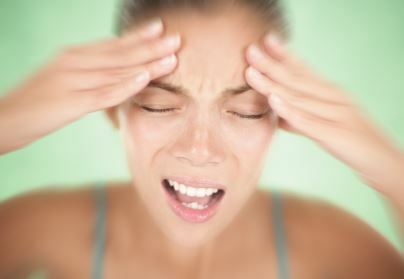 Migraine headaches are very often a reaction to stress. Minimize stress, or at least your reaction to it, by taking time to unwind at the end of every day. Listen to calming music, take a bath, meditate or even do some relaxing yoga. It is especially important to get proper sleep, and these techniques can be used before bed. Avoid alcohol, intense exercise and caffeine before bed to help you relax. Lack of sleep has been shown to cause a wide variety of health problems, a common one being migraines. Make sure you get plenty of sleep and stick to a schedule. Try going to bed and waking up at the same time every day to get your body used to a routine that will help you sleep better. Although each person varies in the amount of sleep they need, anything less that seven hours a night is usually not good. Lack of water can contribute to migraine headaches. It is important to stay hydrated throughout the day by drinking water regularly. 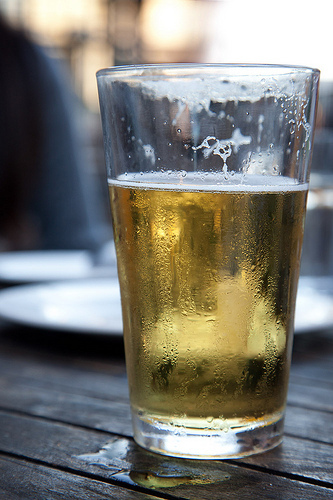 Avoid dehydrating substances such as caffeine and alcohol, or only consume them in small quantities. By drinking more teas and water with lemon or flavoring, you can enjoy giving your body more water and stay hydrated throughout the day. Exercise has various positive effects on the body and may help to prevent migraine headaches. Exercise releases chemicals that combat feelings of anxiety and depression. These same chemicals also block pain signals to the brain. All of these things can easily turn into migraine headaches if allowed to build up. Exercise regularly to ward off migraines. Frequent migraines can also be a sign that you have vision problems. If you currently have corrective lenses, then it might mean that your prescription is no longer strong enough. Take note if the migraines occur after an eye-straining activity such as reading, spending long hours at the computer, or something similar. Visit a professional to get eyeglasses for the best results. Ignoring vision problems can affect your body negatively in many ways, including getting severe migraines. Another thing to keep in mind is that migraines are often caused by triggers. Keeping a log of your migraines and how you were feeling or what you ate before onset can help you identify your specific triggers and change your behaviors. Living with chronic migraines is all about having a healthy balance in your life, from managing stress to getting regular exercise. This post appeared first on Mother & Fitness.